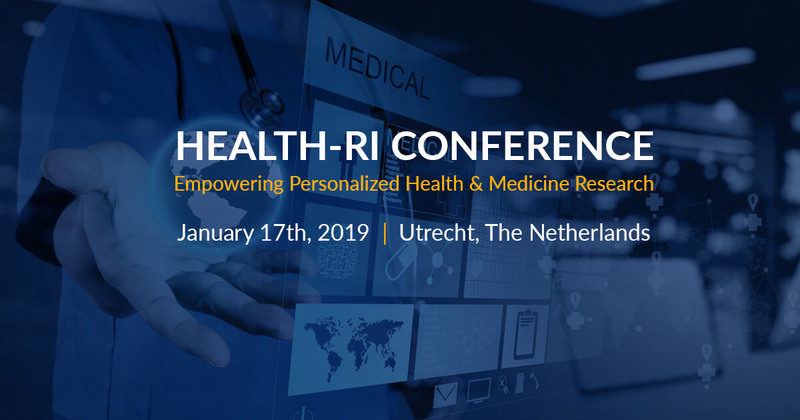 The 4th Health-RI conference will be held in Utrecht, the Netherlands, on Thursday, January 17, 2019. Health-RI is the Dutch infrastructure for personalized medicine & health research. The conference program will focus on the future of Health and Medicine and the required support role of science and research infrastructure as innovations around ‘big’ complex data facilitate a vitally functioning and healthy society.